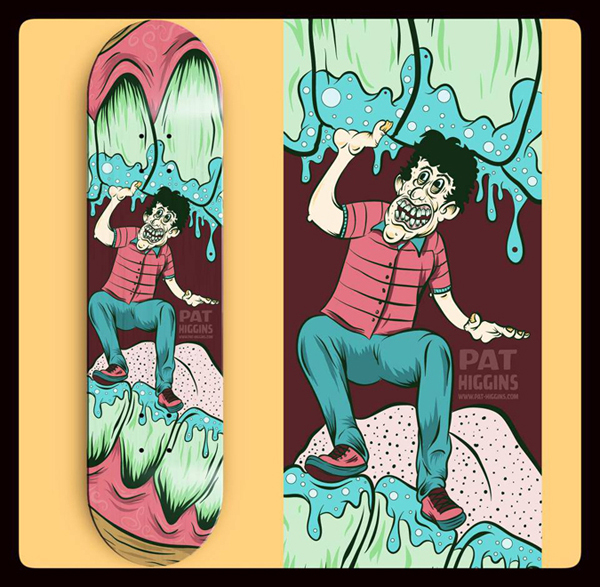 Last week I made a small run of 25 skateboards with one of my illustrations on them. They’re laminated vinyl adhered to a blank deck, signed and numbered 1-25. Number 2 out of 25 was sold Friday night in Newark, DE as part of a skate park fundraiser and a few more were sold over the weekend at the Punk Rock Flea Market in Trenton, NJ. The rest of the run are currently for sale in my online store (www.pat-higgins.com/store).